Democratization has swept the globe over the past generation, and analysts and policy makers have been struggling to keep up. Bookshelves have been filled with case studies and assessments of this kaleidoscope of experiences, and a related scholarly community has developed seeking to systematize all this material in accordance with well-defined schemas and causal models. But experience keeps wrong-footing the country analysts, so in this fresh interpretation the author goes back to foundational issues. He argues that democratization is best understood as a complex, long-term, dynamic, and open-ended process extending over generations. Standard models of causal explanation need to be supplemented by more interpretative approaches. Basic questions of citizen security, the nature of public accountability and the role of money as a source of political power need reconsideration. The delicate balance between monetary authority and democratic consent is also examined in the light of the financial crises that have afflicted so many new democracies. 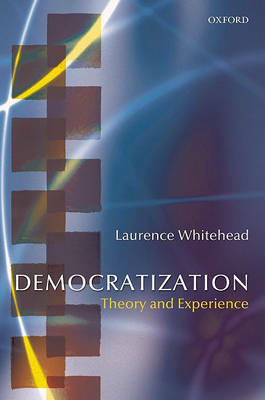 This book proposes a range of new perspectives on the complex linkages between democratization and state formation, on the logic of paired comparisons and comparisons between large regions of the world and on the relationship between democratic ideals and 'really existing' democratic outcomes. It aims to equip those caught up in democratization and democracy promotion with a more realistic understanding of the tensions and turbulence involved.